The real Annabelle doll will be investigated on television for the first time ever in a new episode of Ghost Adventures this weekend. Zak Bagans will look into the Raggedy Ann’s creepy past as part of a two-hour Halloween special. Annabelle was famously said to be haunted by demonologists Ed and Lorraine Warren — who inspired movies like The Conjuring. The horror films Annabelle and Annabelle: Creation are also loosely based on the story. 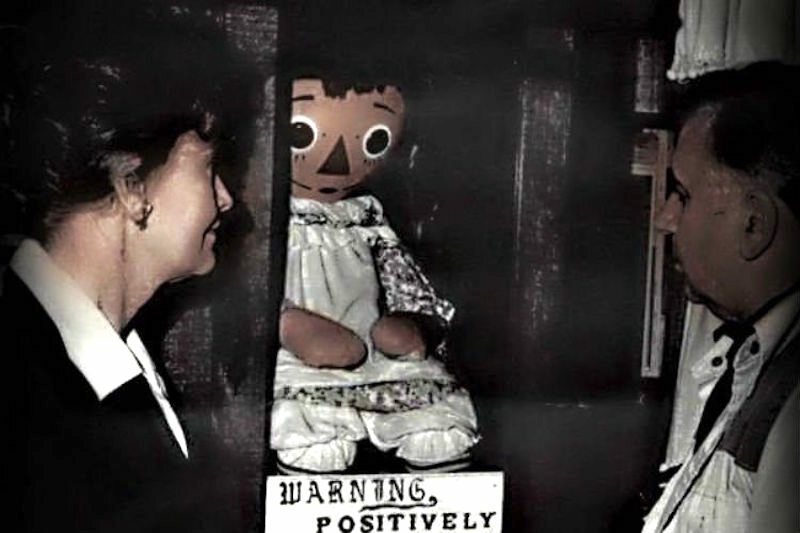 According to the Warrens, the actual doll first came to light in 1970 when a student nurse and her roommate were told by a psychic medium that the doll, who had reportedly been behaving oddly, was possessed by the spirit of a dead girl called Annabelle Higgins. When it started behaving maliciously, the student and her roommate got in touch with the Warrens who later took it away and housed it in their Occult Museum. The real doll has never before been investigated on television. It will take place during a two-hour Ghost Adventures Halloween Special on Saturday. The first hour will look at Bagans’ new Haunted Museum in Las Vegas and the artefacts it holds, while the second hour sees him invited three fans to the museum before he carries out the investigation into the real Annabelle doll. The first episode airs at 9/8c and the second at 10/9c this Saturday, October 28, on Travel Channel.